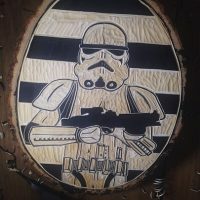 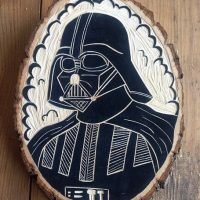 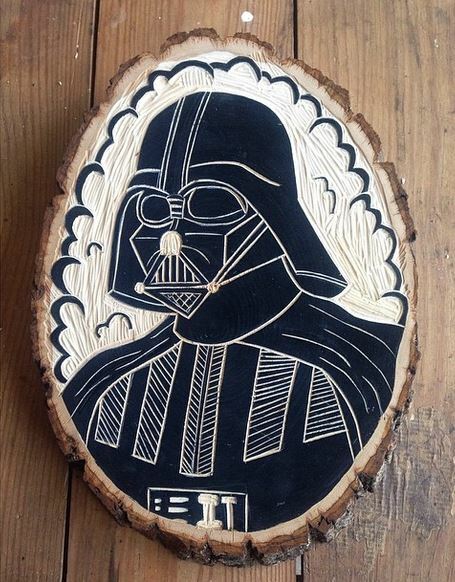 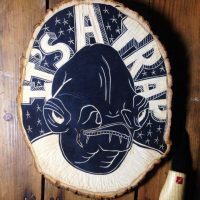 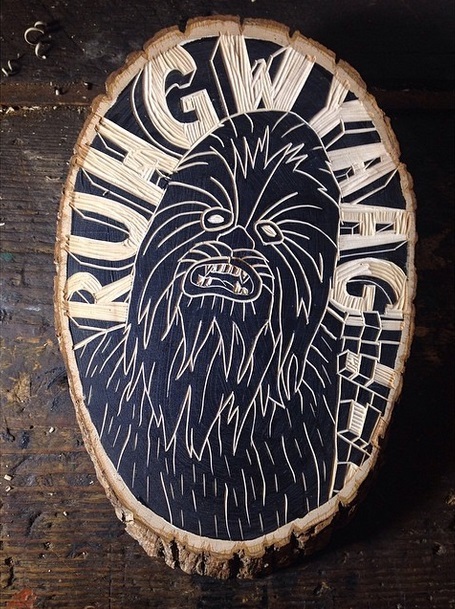 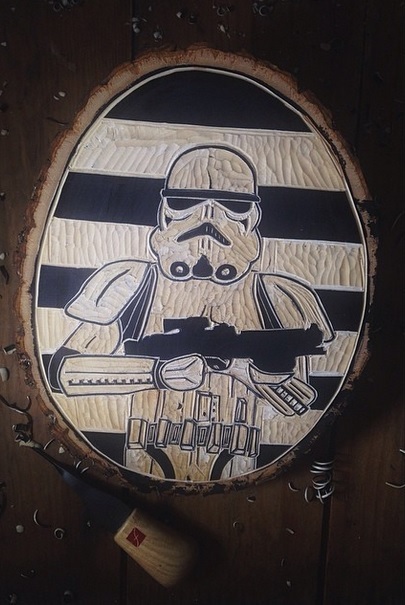 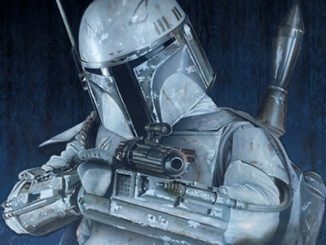 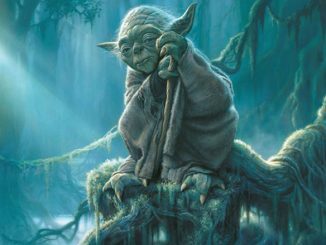 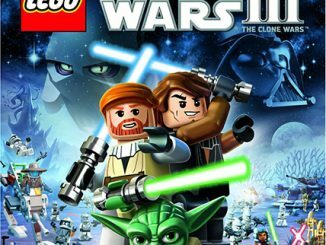 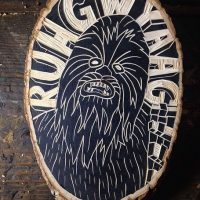 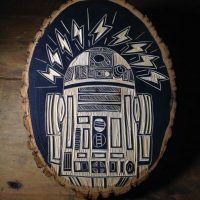 Enjoy Star Wars and nature at the same time with some Star Wars Woodcut Art, featuring a variety of characters that have appeared in the Star Wars movies. 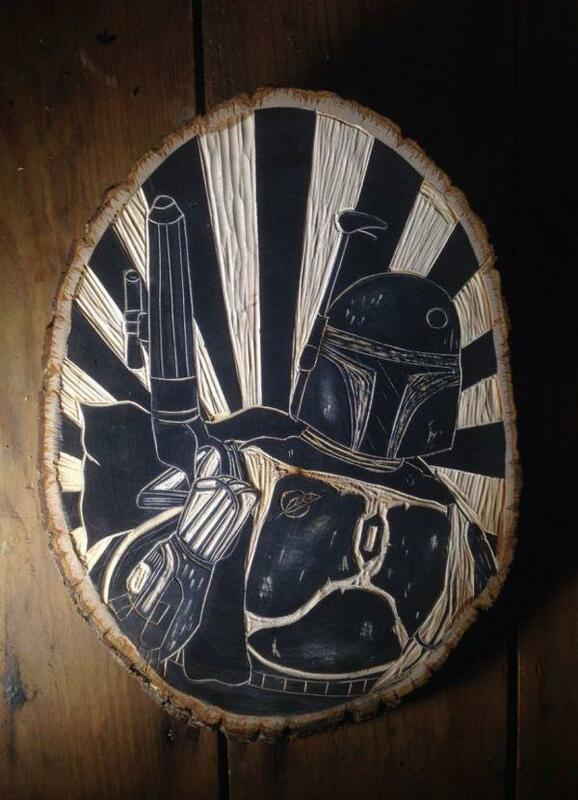 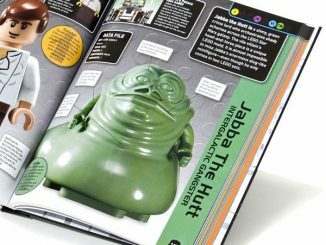 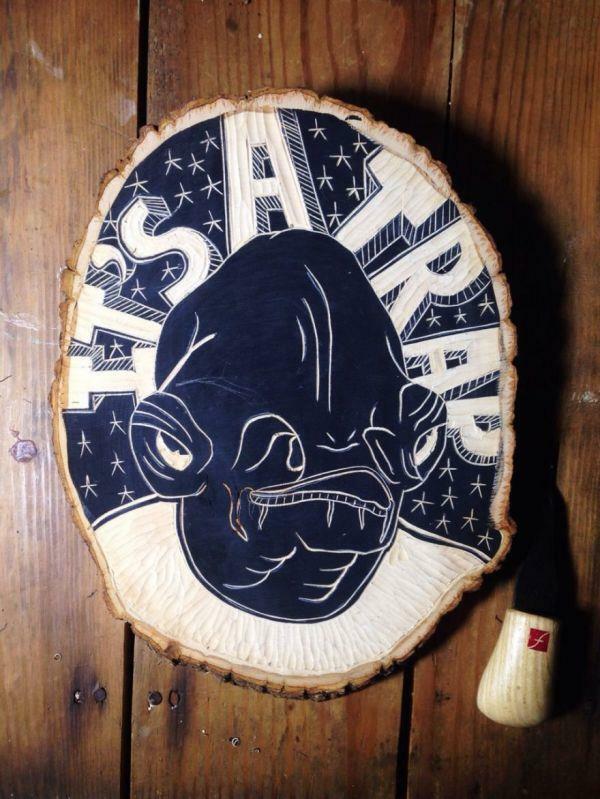 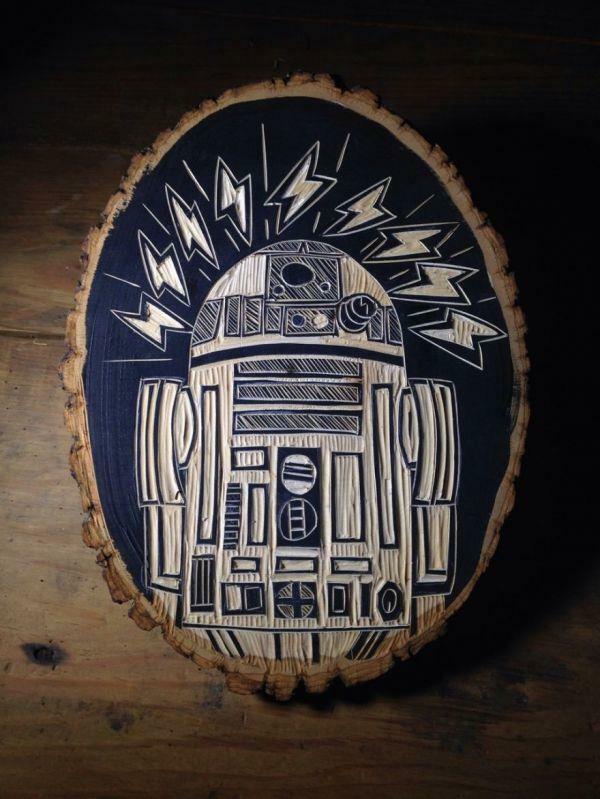 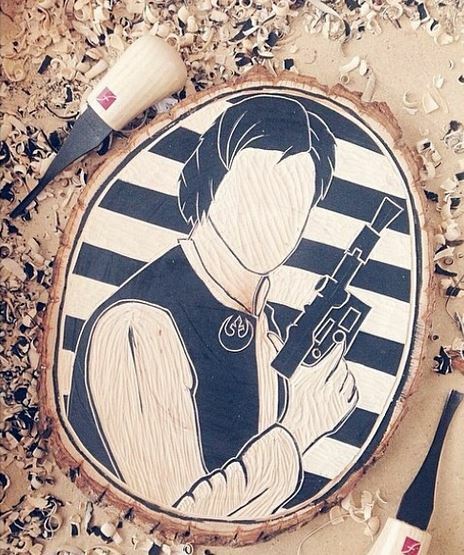 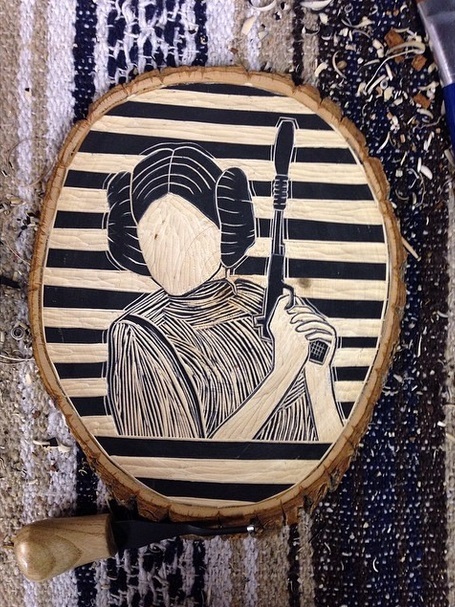 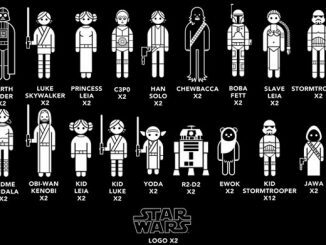 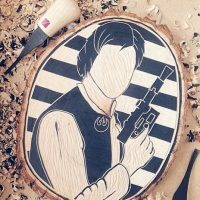 Artist Zac Benedict uses his talent to create geeky goodness on otherwise boring chunks of wood, with his catalog filled with a wide variety of characters, including Princess Leia, Han Solo, Chewbacca, Darth Vader, and Boba Fett. 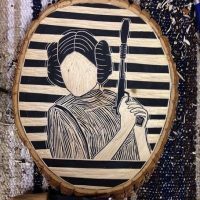 Don’t see a character you’d like to see in woodcut form? 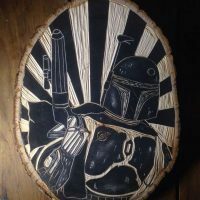 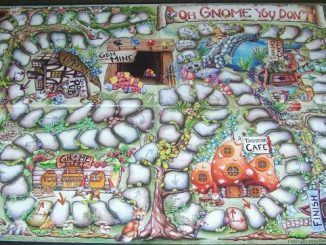 Benedict also does commission work so he can create an image just for you. 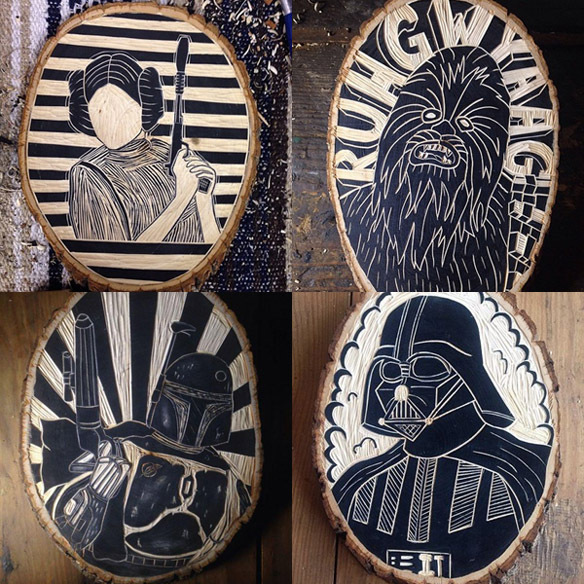 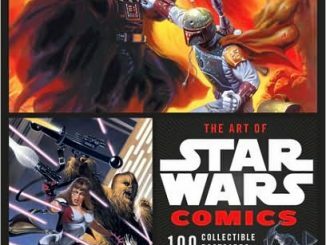 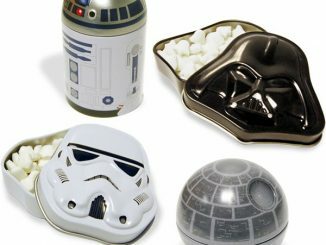 The Instagram store isn’t the most customer-friendly store in the world to navigate but the Star Wars Woodcut Art is available at Handshake Trading, with most prices appearing to be $60.